Clothing/Jewelry Description A red blouse with a white pattern, blue jeans and a red head scarf. Distinguishing Characteristics African-American female. Black hair, brown eyes. Snead may spell her middle name "Laverne" or use the last name Snead-Haile. 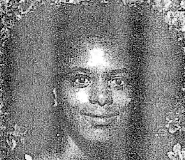 Snead was last seen in St. Augustine, Florida on April 21, 1993. She has never been heard from again. The serial killer William Darrell Lindsey Sr. pleaded guilty in 1999 to second-degree murder in connection with Snead's case. A photograph of Lindsey is posted with this case summary. He led police to a three-acre, alligator-filled pit near Murray Middle School in St. Augustine, saying he had put her body there. Police could not find Snead's remains, but they had enough evidence to prove he had killed her. Lindsey also pleaded guilty to the murder of Diana Richardson, whose body has also never been found, and to four other murders. He died in prison in 2015. Snead's remains have never been located. Like all of Lindsey's victims, she was involved in drugs and prostitution. Updated 4 times since October 12, 2004. Last updated March 6, 2019; picture, height, weight and clothing/jewelry description added, details of disappearance updated.